Researchers found that the levels of PGE2 correlate with levels of two methyltransferases, DNMT1 and DNMT3, in human colorectal cancer specimens. Chronic inflammation combines with DNA methylation, a process that shuts down cancer-fighting genes, to promote development of colorectal cancer, according to scientists at The University of Texas MD Anderson Cancer Center. The team's connection of these two separate influences eventually may lead to better combination therapies for treating and preventing colorectal cancer. In animal experiments, researchers found that prostaglandin E2, a chemical that promotes inflammation, accelerates the development of colorectal cancer by shutting down genes that suppress tumors and repair damaged DNA. 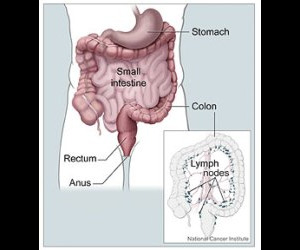 They also found that while either an anti-inflammatory drug or a demethylating agent reduced the size and number of tumors in mice with colorectal cancer, the most powerful response occurred when both drugs were used together. "We've known that chronic inflammation increases the risk of developing cancer and progression of disease," said senior author Raymond DuBois, M.D., Ph.D., provost and executive vice president at MD Anderson. 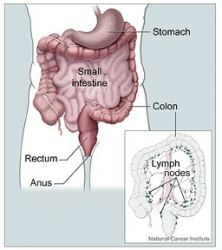 "We've also known that tumor-suppressing genes are silenced in human colorectal cancer. However, nobody had made a molecular connection between these inflammatory mediators and changes in gene expression or silencing of genes through affects on DNA methylation." The two drugs used in the animal experiments - the anti-inflammatory agent celecoxib (known commercially as Celebrex® and the demethylating agent azacitidine (Vidaza®) - are both approved for human use. Prostaglandin E2 (PGE2) is a lipid mediator found at high levels at sites of inflammation where immune cells are aggregating. DuBois and colleagues looked for correlations between levels of PGE2 and a class of enzymes called DNA methyltransferases, which attach methyl groups (one carbon atom joined to three hydrogen atoms) to the promoter region of genes, blocking gene expression. "We found that levels of PGE2 correlate with levels of two methyltransferases, DNMT1 and DNMT3, in human colorectal cancer specimens," DuBois said. Also expanded methylation of a variety of other DNA repair genes, most importantly silencing CDKN2B and MLH1, which repairs DNA mismatches. Size and number of precancerous polyps. Giving those mice the demethylating agent azacitidine reversed the effect of PGE2 on tumor growth and on the silencing of tumor-suppressing and DNA repair genes. Mice treated with azacitidine alone experienced a 60 percent reduction in tumors, and those treated with celecoxib alone, a 77 percent tumor reduction. Treatment with both drugs in tandem cut the number of tumors by 93 percent. All three regimens also reduced the average size of tumors; however, the combination therapy led to the greatest decrease, cutting the size of tumors by half. The researchers found that various processes observed in mice - such as inflammation promotion through PGE2 and another inflammatory agent called PTGS2, methlytransferases DNMT1 and DNMT3B, and the methylation of CNR1, MGMT and MLH1 - are all positively associated in human colorectal cancer, as well. "These mouse studies make us optimistic that we can extrapolate our data to help treat humans," DuBois said. "Improved understanding of PGE2's roles in cancer progression and the regulation of DNA methylation may provide the basis for developing combination therapy to treat targeted groups of patients, and to prevent cancer from occurring or recurring in high-risk groups."